Update: This was originally a list of nine favorite chocolate cakes, but I had to add a tenth. This Chocolate Honey Cake with Ganache is excellent. That being said, tt’s probably time to start a new favorite chocolate cake list because Old Fashioned Chocolate Cake is also a winner. Sour Cream Chocolate Cake — This is the one I made yesterday. It was a good cake, but what really pulled it all together and made it special was the sour cream frosting. In the frosting the sour cream flavor was pleasantly discernible, but in the cake itself it was barely detectable. What was noticable about the cake was it’s dense, tight crumbed, tender texture. 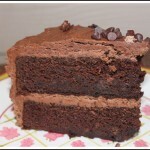 This cake is made with melted unsweetened chocolate rather than cocoa. It calls for less butter since it gets fat from the chocolate and the sour cream. Chocolate Butter Cake — Like the cake above, this cake was made using a derivation of the “Two-Step” mixing technique where you coat the flour with fat, then add the other ingredients, particularly the eggs and liquids, in stages. This technique results in a dense, tight crumbed, cake (as mentioned above). This cake seemed richer to me than the Sour Cream Chocolate Cake and it reminded me of a not-so-heavy Chocolate Pound Cake. This cake is made with cocoa powder as opposed to melted chocolate so it has more butter. I liked it a lot. Favorite Cocoa Layer Cake — This recipe was moister than the previous two — heavier, not as tight crumbed, delicious and homey. It reminded me of Black Magic Cake but with slightly more complex flavors. This one was made with natural cocoa powder. 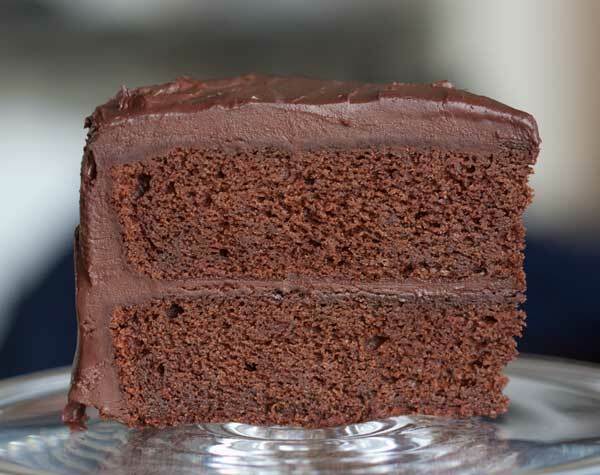 Sue B.’s Chocolate Cake — If convenience is what you’re after or if you just don’t want to pull out the stand mixer, this cake is perfect. 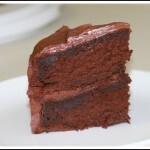 It has a moist texture, not too tight of a crumb, and was lighter than the Favorite Cocoa Layer Cake (above). This cake is also made with natural cocoa powder. I’m finding I like cocoa powder cakes a little better than cakes made with melted chocolate….but I’m not done testing all cakes so maybe that will change. 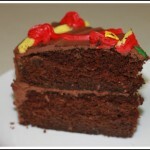 Troy Chocolate Cake — I’ve had this recipe for many years and it’s a great little cake. The secret ingredient is mayonnaise, and while I’ve never met a mayonnaise cake I didn’t like, this one trumped other recipes for its convenience. Plus, it’s baked in an 8 inch pan and won’t take forever for small families to eat. Over the years I’ve gotten emails from people around the world saying they like this cake. Texas Sheet Cake — This cake falls into a class of its own, but I decided to put it in the grid because this was the best version I’ve ever made. The icing turned out perfect. A few people who reviewed it also said it was good, so that made me happy. Double Chocolate Malt Cake — I haven’t had malt powder in the house for months, but I’m tempted to buy some just to make this cake again. It’s a perfectly adequate cake in terms of texture, but the malt flavor is what makes it really special. Josie over on Flavor Junkie also this cake. We both found the recipe on Chowhound. 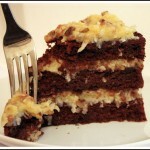 German Chocolate Cake — My favorite German Chocolate Cake is one of the most basic recipes. It’s on the sweet side, but it reminds me of the one my grandmother (Bessie) made. I still have more German Chocolate Cake to test and this page will link you to a few reader recommendations including Trisha Yearwood’s. Melissa, whose husband is a big GCC fan, also has a tried and true German Chocolate Cake I need to try. Chocolate Bundt Cake — I’m always recommending this particular chocolate Bundt cake to people. It’s not only convenient, but fairly inexpensive to make. 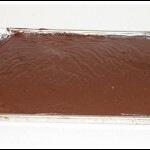 Unlike most of the cakes I’ve listed so far, this one requires Dutch process cocoa powder. It’s from Food and Wine. I completely agree with you about the Sour Cream Cake! It’s the icing that shines; not the cake. Though I really really enjoyed it…. I recently made the Favorite Cocoa Layer cake per your suggestions. Did i tell you that already? I can’t remember. Anyway it was very very much loved! Even those in my house who “don’t like chocolate”!!! 🙂 Thanks! Also, thanks for the link to my blog. If you do try it, let me know what you think! Another great list, Anna! Thank you so much for doing all the work for us! Aside from the sheet cake (haven’t we all made these for events? 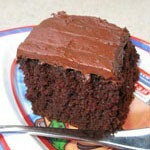 And I’m copying this one…) recipe, the only one I love is the German Chocolate cake recipe. Is it the same as the original? That’s the one I have. My son asks for it every year on his birthday. Still. I am not a big fan of chocolate cakes, but those two I make often. Louise, that one is still on my list. I think I’ve skipped it because Fuzz, who has been enjoying the chocolate cakes, doesn’t care for Bourbon. I still plan on trying it. Rebecca, sour cream frosting does have a very distinct flavor. If you make this recipe, let me know how it turns out. I liked it so much I wouldn’t bother trying a different one. Jenn, I know. But 10 would have thrown off my grid and I’m MUCH to lazy to do 12. Actually, there is a 10. I haven’t made it yet, but Bon Appetit just published a mayonnaise cake from the guys at Baked in Brooklyn. It’s on Epicurious and everyone is giving it 5 forks. Katrina, if I add the mayonnaise cake to the grid I’ll need 2 more to even it out. Crazy cake is a good idea. Oh, number 10 should be the chocolate crazy cake. It’s so easy and we like it and have used it many times (w/o the raspberry flavor). Perfect easy cake for kids. Love the list with the photos. Hmm, which would be my favorite? I’m a sucker for pictures with recipes. Not 10? You’re a slacker. 😉 xo! Yum! Thanks for the roundup. I totally love chocolate sour cream frosting. The flavors are so awesome. I can’t wait to try some of these. Sue, they take a lot of time, but I find them helpful too. Meredith, at first I just had the links down in the grid underneath each picture. Since you mentioned it, I went ahead and put a link on each paragraph. About the two Bundt cakes, it’s been ages since I made the CI Bundt cake which I remember as being VERY good. It was always one of my favorites. 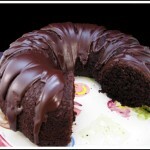 The Food & Wine chocolate Bundt cake is a more recent recipe and one of the things I like about it is the convenience. However, I can’t say it’s better than that old CI-adapted Bundt Cake. 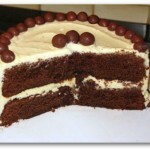 For those of you wondering which cake I’m talking about when I say “CI”, here’s the link. It’s been a long time since I’ve made it, but it should be a top cake. My version is not exactly the same as CI’s, as I used some buttermilk in place of some of the sour cream and took liberties with the directions. For the original recipe you’ll have to go to their website or find someone who published it verbatim. 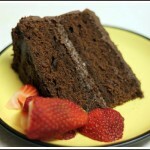 ….how does the Food & Wine chocolate cake compare to the Cook’s Illustrated chocolate Bunt cake? I’ve been wanting to try that one (CI) for years, but haven’t gotten around to it…. I love your lists. They’re so helpful when trying to narrow down the next recipe to try.